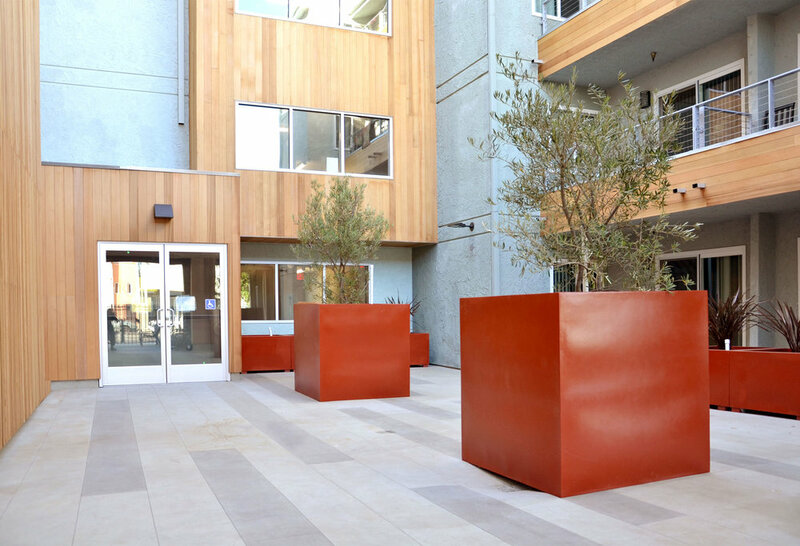 An existing apartment building for retired persons is given a new identity with a reimagined building exterior and a new drought-tolerant and low water landscape. Due to budget constraints, the geometry of the building exterior had to be maintained. Its transformation was achieved through new facade colors and materials, leaving room to emphazise two features of the property. The first is the garden that fronts the building, which consisted mostly of concrete and a small lawn. 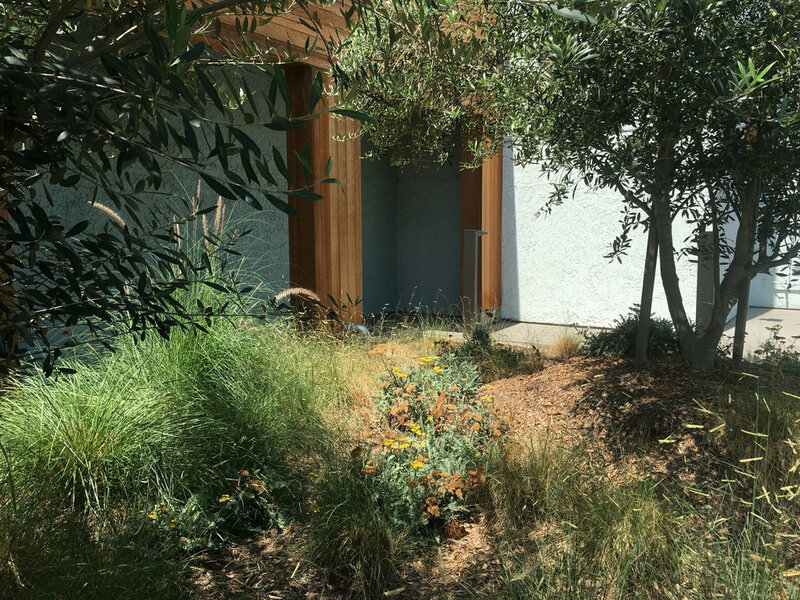 It was entirely redone by introducing olive trees and other drought-tolerant and low water vegetation. 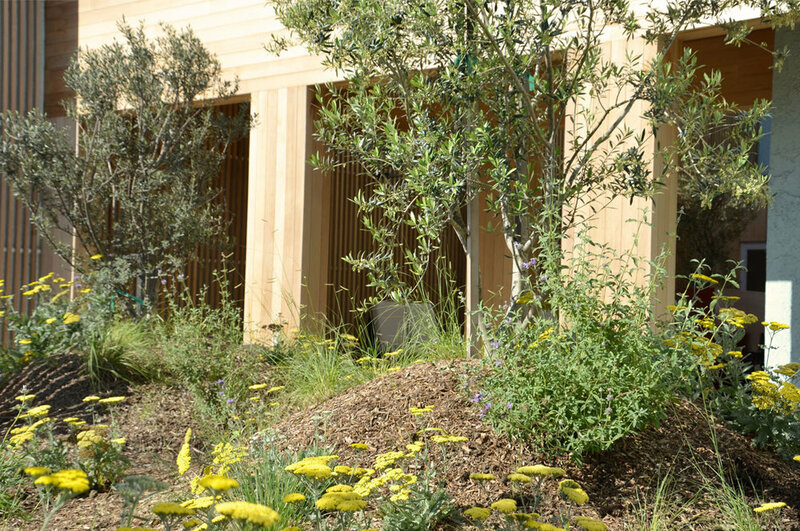 The second is the central courtyard which opens to the garden and functions as an entry court. The portico marking its entrance was re-cast as a cedar-clad box. 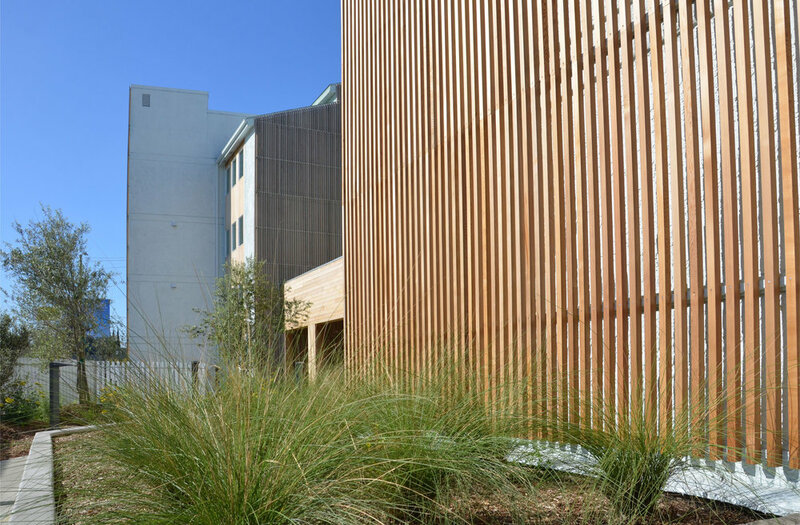 Along with the cedar batten screen that covers the blank south wall of the courtyard, these layers emphasize the depth of field from the sidewalk to the to building entry.